There’s an old Woody Allen movie called “Love and Death” that is set in 18th century Russia starring Allen who plays Boris, and Diane Keaton (Sonja). It’s a comedy about a neurotic soldier and his distant cousin who formulate a plot to assassinate Napoleon. In one scene Boris is walking by Sonja’s room. He hears voices and stops to inquire. How many of us are like Sonja and do both parts? We talk to God. Then we tell Him what the answer should be! 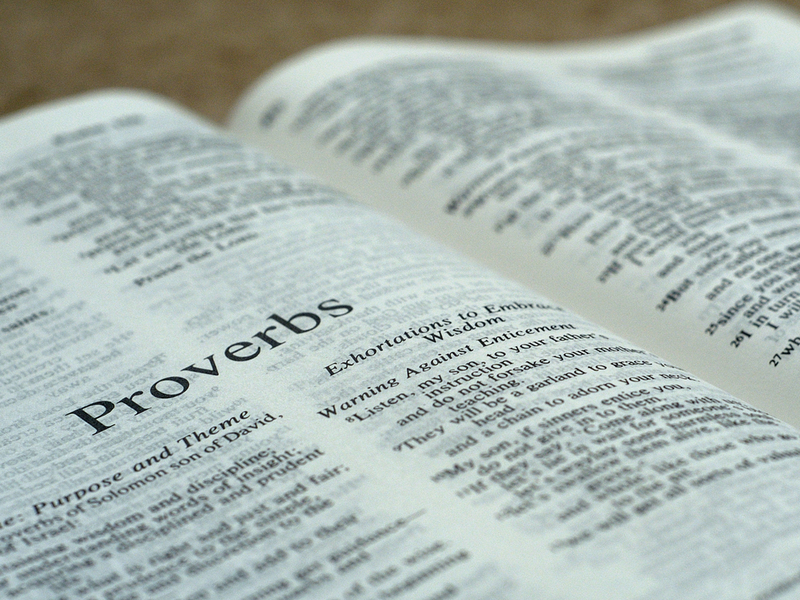 In Proverbs 3:5-6, which according to YouVersion’s Bible App, was the most searched and shared passage in 2015, the wise man gives us a different perspective of our relationship with God. There are 5 important points to learn from the wise man. We live in a world where there is a lack of trust. Many people don’t trust politicians. Big corporations. Or even preachers and churches. A recent AP poll indicated that there is a general lack of trust among Americans for each other. Nearly 2/3 say “you can’t be too careful” in dealing with other people. Trust has to do with confidence. Conviction. And assurance. When we trust someone we believe in their integrity, rely on their word, and live in hope of their promises. (2) Give God your whole heart. The Bible uses the word heart to refer to the entirety of a person. It involves our feelings and emotions. But it is more. It is our will. Our intellect. Our conscience. Jesus said, “‘You shall love the Lord your God with all your heart, with all your soul, and with all your mind.” (Matt 22:37). “All of your heart” means in totality. Your whole life. Your entire purpose and reason for living is wrapped up in Him. We understand this commitment, when we take our marriage vows, when we say, “forsaking all others….’ That means our whole heart! That’s what God desires. (3) Give up your human wisdom. Trusting God with your whole heart finally says, “You’re not smart enough to do this on your own!” Human knowledge is limited. Worldly wisdom is often flawed. Fleshly feelings can be deceptive. Without God we lack eternal perspective. Our view is dim. And our insight is confined by our narrow range of experience. Recognize the power of God. Admit the supremacy the God. Defer to the wisdom of God. Receive the goodness of God. Submit to the authority of God. Experience the love of God. And accept the answers of God. How? In all of your ways. Everyday. In every way. Ultimately our trust in God, our acceptance of Him, and our heart-felt commitment will lead us to follow His voice, not ours. Don’t do both parts. Talk to God. Then listen to His answers and His Word.